Have you been looking for a healthy homemade chicken nuggets recipe that compares to the texture of the frozen ones? If so, you’ve got to check this one out! Over 1 million people already have. It’s safe to say chicken nuggets are a favorite of most North American kids. They are found in many restaurants’ “kids menu” and in nearly every freezer. They are also served in most American schools and found, of course, in the boxed lunch section. The ingredients alone will scare any semi-health conscious person. Why are they so popular? Is it the shapes? I’m not sure but they are simple to make! So why buy them ready-made? Our comparison of store-bought vs. homemade will have you wondering the same thing. Our store bought chicken nugget lunch was quite a disappointment! The first thing I noticed was how little food it contained. This is a lunch? 4 processed nuggets, ketchup for dipping sauce, and 2 sandwich cookies. It lacked nutrition and quantity. The MOMables remake also contains 4 fresh chicken nuggets (homemade-recipe below), dipping sauce (barbecue instead of ketchup), and 2 sandwich cookies. In addition, ours has the fruit & vegetable servings missing from the boxed lunch; crunchy carrot stick “fries” and juicy grapes. Better! The MOMables lunch includes more food groups! The cookies I chose for the MOMables lunch do have as much sugar, calories, and fat as those that come with the boxed lunch, but they are made without high fructose corn syrup, hydrogenated oils, artificial flavors, or preservatives. The boxed lunch may come in a colorful package, but out of the box, it looks lacking, it’s nuggets pale. The MOMables chicken nugget lunch, packed in EasyLunchboxes, gets it’s color from fresh flavorful ingredients rather than packaging. Which would you rather send your child to school with? THIS chicken nugget lunch?…Or THAT one? The winner, by freshness & appeal… the MOMables lunch! MOMables meal plans provide you with healthy, fresh meals you can make to add variety to your family’s lunches and meals. Unlike store-bought lunches, they allow flexibility in portioning and choice of sides so you can customize each lunch to suit your family’s tastes and appetites. Tip: Bake a whole batch of these chicken nuggets ahead of time, then store in the freezer in an airtight bag or container. Warm a serving in the microwave for 20-30 seconds to thaw before packing lunch. Fast & delicious! In a large bowl, combine chicken, oatmeal, half the grated parmesan (1/8 cup), half of the Creole seasoning (or paprika), (1/2 teaspoon), garlic powder and pepper. Knead dry ingredients into ground chicken. In a small bowl, combine breadcrumbs with remaining Creole seasoning and grated parmesan. Place nuggets onto the cookie sheet and spray them with cooking oil spray cor a crispy crust (optional). Bake in the preheated oven for 18 to 20 minutes, flipping them over halfway through. Remove from oven. There are really the most simplest and delicious chicken nuggets!! My kids absolutely love them,i always have to make a double batch. Do you have to use ground chicken in this recipe or can you use chunks of chicken? I normally use cut up chicken breast when I make nuggets. This particular chicken nugget recipe is made with ground chicken. Hi. 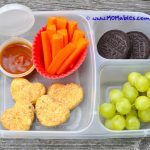 My toddler loves nuggets, but at $7/box for the good ones I’m ready to make my own! I just want to make sure I understand…these can be baked and then frozen; do you recommend a shorter initial baking time? Thanks for th e recipe! Can I omit or substitute the oats for something else? My daughter is allergic to oats, rice (and yeast, so I’d be using something different for the breadcrumbs too). can you use almond flour? that would work for the texture. I subbed the oatmeal with shelled hemp seeds that I found at Aldi, and they worked amazing, plus the small amount of flavor they have was only complimentary to the chicken! I did use the same amount as I would have for the oatmeal. Just more protein and nutrients! I teach cooking to kindergarteners and made these with them today- with great success! Super simple and they loved them! That sounds like so much fun!! I love that you shared this with your class and they loved them. Hey, I tried this recipe and it came out great! Instead of ground chicken, though, I used ground turkey and plain panko bread crumbs. The kids said they tasted like meat balls, so I’m going to put a small cube of mozzarella in the middle of these, make em like a meat ball, and serve it up with marinara and pasta. Kinda awesome if you ask me… And I accidentally put too much creole seasoning, but they still came out amazing! Thank you for this recipe. I’m telling everyone I know! Hi… we are wanting to try this recipe and are having issues with these things: did you use all white meat ground chicken or other, and did you use plain bread crumbs or seasoned? as stated, I used ground chicken (same texture as ground beef). My breadcrumbs were unseasoned but I guess it wouldn’t matter. Enjoy! I’m so glad I found this site. I have two pounds of nuggets in my freezer now, and they were so easy to make too. I tweaked the recipe a little, but they smelled amazing. That makes me so happy to hear! Hope you love them! Awesome! So glad to hear they worked out for you. Mine came out kind of dry. I cooked for 20 minutes. Maybe I over cooked? Any suggestions on how to make them a bit more moist? My 15 month old ate them up nonetheless! They have great flavor so I will continue to make them and find a way to make them more moist. I’d say cook it for a few minutes less! But make sure they’re still cooked through. I’m glad they ate them up though! Awesome! So happy to hear they worked for you. Hi I made these/froze then baked later. My daughter (almost 2) loved them — but — we often are very cramped for time at dinner. It’s hard for me to cook something for 20+ minutes. Have you ever baked them, then refrigerated, then microwaved them to warm when the time comes to eat? Help! Thanks. That should work fine! Let us know how it turns out. You could even stick them in the oven for just a few minutes so they crisp up. We are especially stoked because we raise chickens for meat but I am only used to white meat. So i never know what to do with the parts that creep me out. Such as the legs and the thighs. I just parted out the chicken and took the meat from those sections and put it in my vitamin. Blended up and it was kinda like a paste, than used that meat. I also used Panko bread crumbs because I just love them so much more than regular. With there chunky big flakes. I’m so glad you loved them, Janessa! I made these over the weekend and my son absolutely loved them. He had a friend over and his friend said they were better than his mom’s homemade nuggets. I didn’t change anything in the recipe and they turned out amazing. I am preparing to make another batch today and freeze them. They will now become a staple in my freezer, I will keep some on hand for those days where planning is not an option. Ok I took your recipe and made it more healthy bc I work for people whose kids won’t eat anything if it’s not a plain old nugget. So I boiled chicken breast, carrot, onion, garlic until done, shoved it all in a food processor until smooth and added salt n pepper and the parmasean. And followed the rest of your recipe (ok no I used milk instead of water in the egg and mixed fine ground flax and chia into the breadcrumbs mix) but seriously it’s what you had and they are omg so good the pickiest 4 year old ever eats them!!! It’s a win!! I’m liking the sound of your version. So you omitted the oats? DELICIOUS!! So glad I can ditch the crappy store-bought, unlealthy version. Thank you so much for posting this! I also have a child with sensory issues and at 2 yr old still has trouble chewing and swallowing different textures. I actually made this recipe with some tweaking (added apple sauce and ketchup for extra binding) and used it to make turkey meatballs. Delicious. I absolutely loved these! I used paprika instead and instant oatmeal with flax and they turned out wonderful. I also used ground turkey instead of ground chicken. I added a few seasonings to my family’s taste, but changed nothing more about this recipe. My toddler son loves chicken and turkey, but hates store brought or fast food nuggets. This recipe was wonderful and easy to follow! Needless to say, these were a family favorite! Thanks! Hi! Just want to ask if it’s ok if I replace parmesan cheese with other cheese? Yes. the cheese helps hold the nugget together. Didn’t have Z-seasoning and these were super bland without added salt! Maybe that should be included next to the suggestion to sub with paprika. Texture was good, so I’ll try them again, but I can’t serve them as is. these definitely need seasoning of some sort. Italian, Creole…etc. These are so good! I made my third super-batch today, with 8 pounds of ground chicken that I grind myself — half breast, half thigh. I use more seasoning than in the recipe because we don’t like using sauces, but that’s a personal preference. Thank you for sharing this wonderful recipe. My 7 year old twins BOTH DEVOURED these nuggets! I made them! Thanks for a fantastic recipe! Ha ha..meant to say I made them with a 50/50 mix of ground turkey thigh and ground turkey breast and they turned out great! Silly question, but because they will be packed in a lunchbox and I will make them the night before, do you find your kids ever have a problem eating them cold? The kids school will not warm up food. They love chicken nuggets and I really want to try this recipe. Just wondering if you ever encountered a problem. I have not. Kids will get used to how you serve the food. My kids’ schools don’t warm up food either, so it’s up to me to send the food the way I want them to eat it. 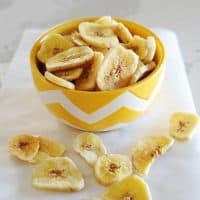 This recipe is bookmarked and has been made multiple times! I am in the midst of another batch to give to a friend who just had a baby and also has 6 & 3 year old boys. Just wanted to share a tip for making the process efficient, especially multiple batches like I make. I use my small cookie dough scoop to portion out the meat mixture onto a couple of cookie sheets lined with parchment. Then after all is portioned out, I go back and shape them and coat them. Keeps my hands from getting sticky longer, and keeps them equal sizes. Thanks for the great recipe, my husband loves them too! I put chick. Nug. In a thermos for school. unfortunately not for this recipe. You can try bread crumbs? but they are not going to be the same. Yes, yes, yes! Most chicken nugget recipes on the internet only call for salt and pepper and only use whole chicken chunks. Needless to say, those recipes are always quite bland. But this one sounds so much better! Also, the cost of buying gluten free nuggets is ridiculous. (I’m wheat sensitive) I’ll be making a batch of these tonight with GF substitutions. Thanks for this recipe! katie, I make these all the time with gf substitutes. they come out perfect! These nuggets are awesome; My 2 year old daughter and I both loved them! I used a combo of regular bread crumbs and panko bread crumbs and that gave it a great crunch. This is definitely my new go-to chicken nugget recipe. My kids LOVE these. They hate everything. Thank you! love the chicken nuggets! awesome alternative to the lunchables. thanks so much for the recipe! I made a batch of these today using chicken breasts since I don’t have access to ground chicken. I cubed the meat while still mostly frozen and then pulsed it in batches in my food processor. I also used Quick Oats rather than Old Fashioned because it was all I had on hand and I used some homemade whole wheat breadcrumbs in my freezer. All of us tested them and they were a BIG hit. 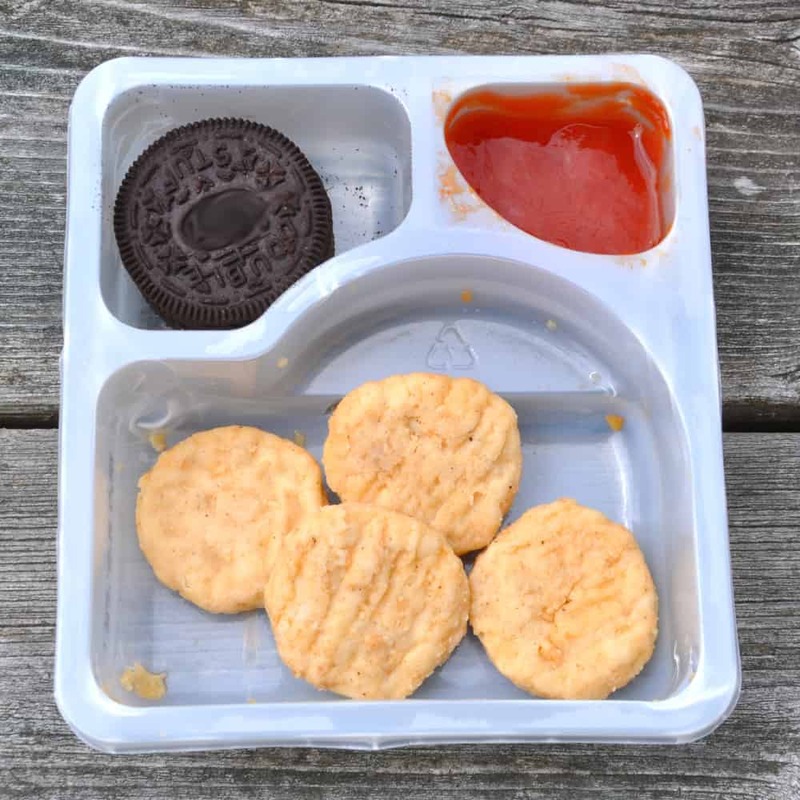 In fact, my Picky Eater decided that he wants a homemade chicken nugget lunchable this week at school. We’ve decided to try making larger patties and having Chicken Patty Sandwiches one day. Thank you so much for posting this. I am so glad I found this recipe! Like many other mothers who have posted, my three year old is very picky about meat but loves the processed chicken nuggets. I feel so much better about giving him nuggets with this recipe. He loved them and actually licked his fingers after every nugget! Haha! I will never buy frozen processed nuggets again. Thank you! My kids are very picky and absolutely loved these. I only made a small batch because I wanted to see how they responded. Even their friends loved them. I did use wheat germ and panko crumbs with the bread crumbs and used tumeric instead of creole. Question; when making a double batch do you adjust the ingrediants at all? when I double the batch I double everything. I made a little page on these chicken nuggets. :) I am so extremely happy with them. I blended my oats to a powder/semi powder. I love my little personal blender. It was $25 and came with a spice grinder blade. Takes two seconds. My son is 12 months old and loved them. So did my biggest baby (the husband). :) Thank you. I have a baggie in the freezer for later. They look great Dawn! I’m thrilled you liked them! These were a huge hit! Thank you so much for sharing. We recently made food changes and I got rid of the store bought processed nuggets. Now I can get rid of that guilt and the kids can have these! My son is very picky but he ate these up! My daughter says she thinks they are better than the store bought ones. These are a keeper in our house! I can not wait to try this! My son is very picky (especially with meat) but he loves his chicken nuggets! He refuses to eat chicken that isnt ground. This is a healthier alternative to frozen, processed nuggets. Thanks! Let us know how much he loves these! I was also curious what brand of cookies you used in the lunch box that didn’t contain all those other ingredients? Thanks! Ok, well I could not wait for your reply as I had to cook and freeze the nuggets before the meat expired. Anyhow, I followed recipe exactly except I added 1 cup finely chopped fresh spinach and 1/2 cup shredded carrots. The results were phenomenal! I’m always looking to add extra nutrition where ever I can. My son loved them. Thank you! I apologize Kara. I’ve been traveling. This sounds like an awesome add in! I made some last night after returning from my trip. Awesome job adding in more nutrition! I was wondering if you think add in some veggies would work?? If so which would you recommend? I was curious how long you would say they last, refrigerated, once baked? This is a silly question as it seems like you made it clear, but I got a little confused. Can you bake them all first and then freeze them? Hi! Can’t wait to make these for my 3 year old! I have a lot of ground turkey in my freezer. Do you think they would be just as good with ground turkey? yes, they can be done with ground turkey. enjoy! Hi, this nuggets looks good. My son doesn’t it any type of meat unless it is ground. I have a question about your recipe do you ground the oat or put it the way it is? I’m a tad confused, the recipe calls for old fashioned oats and then I noticed you mentioned quick oats, which one is best to use? Can I use oat bran instead of old fashioned oats? I’ve never tried it with oat bran. I just have to say WOW! I made these for my 18 month old yesterday and she not only ate them, but cleaned her plate. I don’t normally comment but this recipe I will keep and use for many years to come. The hubby loved them too and said he would like them in his packed lunch some days too. SO much healthier and cheaper of an option. I used 1 egg in the chicken/oat mixture simply because we are out of Parmesan, but looking forward to trying them with Parmesan next time. This recipe made 19 nuggets for me. Thanks for such a great recipe! So glad your little girl loved them Annie! and thank you for coming back to leave a comment. I really excited to try this! My 3 yr. old grandson is an extremely picky eater! His mom always tried to feed him healthy but he really will NOT eat anything that isn’t sweet or “junk food” when with me…he literally will go ALL day without eathing. So I am hoping this will work. let us know how they go Becky! Pretty tasty, but mine turned out more like meatballs. Need to flatten them out more. Unfortunately my really picky eater won’t eat them. And I quote, “they don’t look right.” Oh, well….everybody else liked them. This might be a dumb question, but, when you call for oatmeal in the recipe, is that for dry oats or cooked oatmeal? Jennifer, it’s old fashion oats. not prepared oatmeal. enjoy! Tried these today for a “dry” run for school lunches. Very good. Great dipped in marinara! Something that worked for me & my cookie cutter. First I set my cookie cutter on waxed paper (easier clean up) and then sprinkled about 1/2t. of the crumb mixture into the cutter. Then, I used a 1T measure to dole out my meat mixture into the cutter. The breadcrumbs on the bottom made for easier release. Just plopped it topside up into the bread crumbs from there. I see this as a great mom/kid prep in the future! Also, I am freezing my marinara in ice cube trays. These cubes will be in a baggie in the freezer. They will be popped into my child’s dip containers as needed. Thanks! This is just what my family needed! thank you for your great tips Juliana! so glad your family enjoyed them! This might be a dumb question… but do you use the grated Parmesan from a jar (like Kraft) or grated that is found in the dairy/cheese section in a bag… or do you grate it yourself? Thanks! they are if you use gluten free bread crumbs and gluten free certified oatmeal. I made this recipe tonight and my husband and son, who love processed chicken nuggets, LOVED it! I don’t buy frozen chicken nuggets anymore and I’m so excited that I have a replacement for them now. Thanks for the recipe! so glad!! THANK YOU for giving our recipe a try! What kind of container are you using in the above picture for the sauce? Where did you get it? Thank you! I just came across your site! Love it! Hi Amber! that was a re-used sauce container from something else. But, you’ll love the mini dippers. go to our Amazon link to find them. Is the “ground chicken” raw?? where do you find this at? and do you cook it before making the nuggets? Abby, the ground chicken is raw.. just like ground turkey or ground beef. You get it at any grocery store by the chicken meat section. If you can’t find it use ground turkey. I have made my own ground chicken by throwing chunks of boneless, skinless chicken into a food processor. Also, often you can request it from the butcher at the meat counter if you don’t see it out pre-packaged. I never see it out. Yes! grinding your own chicken is easy with a food processor! Great tip! This are sooooooo good!!! Thanks for the recipe! Making these all the time now! I have tried A LOT of chicken nugget recipes. This one has the best texture I would say. I didn’t use Parmesan or egg and they stuck together fine. Added a little more salt, and subbed garlic powder, onion powder and paprika for seasoning. Great recipe! Thanks for posting. Thank you for such an awesome recipe. The only problem with it is that I want to eat all the nuggets! I used the paprika version since my little one has reflux. The only tweak I made was to use Italian-seasoned breadcrumbs. This recipe came out delicious the very first time, and, best of all, my son ate it. Thank you!! I’m so glad your son liked them! Yes, sometimes we need to adjust recipes for our kids.. but I am glad conceptually and nutritionally they worked out! Oh, and… My SUPER picky 6-yr-old son tried these today and L-O-V-E-D them! He asked if he could have them for dinner tonight, again tomorrow and then in his lunch on Monday. Home run!! I’m so glad! Sometimes I use ground turkey too! Either way they are worth making in big batches for convenient dinners! So glad you made these! I sometimes use 1/2 garlic clove. So clever to add carrots! way to go!! I just made a batch, and they’re AWESOME! Next time I’ll make a double recipe so there’ll be more for the freezer. Thanks for the terrific recipe! This is a great idea! I normally just chunk chicken breast and tenders, bread them and bake those. But this is a fun alternative!! I love the idea of using the cookie cutters!! Our pleasure Ashley! Let us know how your kids love them! Made these today. I was very skeptical but gave it a shot based on the reviews! LOVE THEM!!!!!! I may need to cut back a little on the creole for my 21 month old next batch though. Thanks for sharing and making a believer out of me!!! We are glad you did! thanks for letting us know! I made these an hour ago – I think if your kids really like and want “traditional” chicken nuggets, they would really like them. 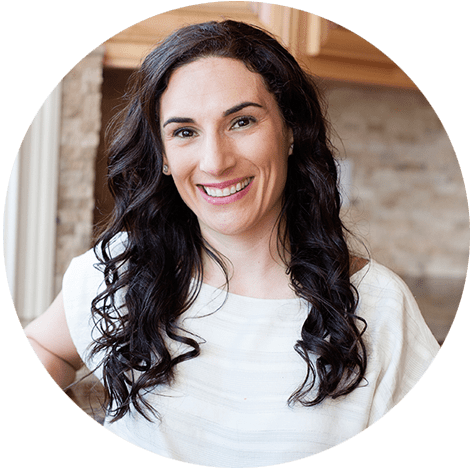 I have never been a fan of them, so neither of my kids are really used to them – I usually just make tenders dipped in egg white and panko/parm, which they like. To us these have kind of a weird texture and they taste kind of “processed”…I think it is the garlic powder and seasoning, which I almost never use either. I did divide the chicken into 2 batches, the first I made as nuggets, following the recipe. I took the second half (made according to recipe) and then added sliced scallion, soy sauce, a little honey and some chili and garlic paste to make them kind of oriental. I dredged those in panko, then dry fried them and finished them in the oven. They were a bit more to our taste. Keep in mind, that if you don’t like the taste of regular nuggets, making a copy with better ingredients won’t really make them into something you like! Take the idea and tweak it to things you like! I made these for my daughter today. She is extremely picky, and has some sensory issues, which results in her not wanting to eat spicy, chunky, or complicated dishes. When she tried the chicken nuggets, she said, “YUM! You can make these again.” Thank you! I’d like to try these for my super picky son, but I want to make sure they come out just as good as yours. So, I have a couple of picky questions: 1) What kind of breadcrumbs did you use? panko, homemade, progresso? 2) Were they frozen or unfrozen when you baked them? Thanks for the great idea. They look delicious and I’m looking forward to trying them. Thank you, thank you, thank you!!! I just made these and they taste awesome! I cant wait to give them to my son for dinner tonight! He LOVES chicken nuggets and I always cringe when giving him the store bought frozen kind. I can now happily give him his nuggets! Thank you! Can you bake these and THEN freeze them? I made these for my grandsons (2 and 6); they loved them! I didn’t offer BBQ sauce and they didn’t ask. I think the creole seasoning makes them flavorful. The two year old was trying to steal pieces off his brothers plate…..luckily I had enough! Thanks for this and other healthy recipes. I have never thought about making my own chicken nuggets! My kids love them. And I know what you mean about those grocery store lunch kits. I have never bought one because they are too expensive for the tiny amount of food inside. thank you and welcome! they are “meatier” than traditional croquette recipes. let us know how you enjoy them! Any ideas for a cheese substitute? Our daughter has Dairy allergies. Hi and thanks for your reply! For more fun my daughter is ALSO allergic to egg. :( do you think her powder egg substitute would work? Thanks so much. Shannon…My son is allergic to dairy and I made these yesterday. I didn’t use any egg or any other kind of binding agent and it was just fine. The only thing I did differently was add a bit of salt in lieu of parmesean cheese. They held together just fine! so glad your son liked them Suze! Mine turned out super bland and were sticky. There was no way I could have cookie cuttered them. I’m sorry :( Did you use the Zatarain’s seasoning? If you omit it you really do need to sub another salty & savoury seasoning to taste. And this is the basic recipe, as I make it for my toddler. You might need to tweak the spice and salt amounts for your personal taste. Pressing them into a cookie cutter isn’t necessary, I just do it for fun. I didn’t have any issues with the meat mixture sticking, but I use very basic shapes. You could also just flatten them into a nugget shape before dredging in the crumbs. I hope they work out better for you next time! 1. Do you bake these before packing them in the lunch box? If so how do they keep warm and from growing bacteria? OR do you bake them first then chill them then send them cold with an ice pack? 2. All of the dry ingredients stay together without falling apart? You don’t need an egg? If in doubt, or if your kidlet prefers them hot,wrapping them in foil and popping them into an insulated food container might do the trick. Oops, forgot your 2nd question :) No egg, the grated parmesan melts and binds it! Oh – terrific idea! I’ve been trying to figure out a binder for meat other than egg. Thanks! Can’t wait to try this with my aupair children! They are crazy about chicken nuggets – but I can’t stand the “chicken nuggets” you can by everywhere. Thanky you for the recipe! This is one of our most visited and printed recipes to date. The taste is delicious and it’s made with…. (drumroll plz!!) REAL CHICKEN! :) Let us know how your family enjoys them. Made a batch today to have some on hand in the freezer. Delicious!!! Thanks for the feedback Nicole!! I have to try these!!! They look great!! This sound a LOT better than another recipe I tried that involved putting a chicken breast in a food processor. They had the texture of already chewed chicken (yes, I tasted them) – yuck! I’ll be giving these ones a try though! And the ground chicken makes them easier for little eaters to chew, which is often why they dislike meat – the chewy, stringy, hard-to-chew texture. I bet you could use the chicken mash like cookie dough and just cut shapes out that way too. Might need a spatula to pick them up though. I never thought of freezing my own. I so need to do this. The homemade looks so much better than the store bought. Let us know how they come out! we had some for dinner last night. kids loved them! What a great idea…to freeze them and using ground chicken, I could substitute turkey..the possibilities are endless..Thank you for this recipe, definitely a keeper.. I love the idea of using ground chicken! 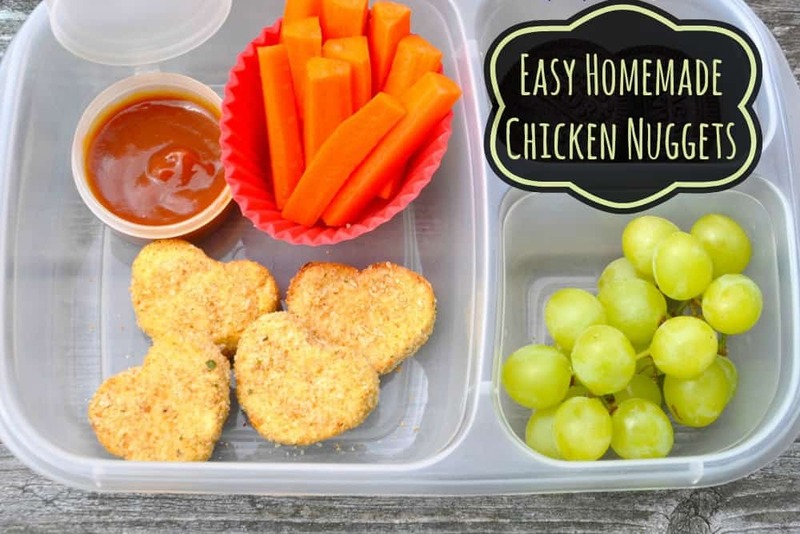 My kids love chicken nuggets….definitely need to make these. let us know how they like these! Oh how neat! This is how I do my homemade chicken nuggets too but with paprika. Next time I’ll add some shapes for more lunch appeal! Thanks for the idea. I absolutely LOVE this!!!! I know what I’m getting at the store tonight. Great job ladies! Awesome Shannon! great that you are going to plan ahead!! She does have great meals, huh? We make homemade nuggets here from boneless chicken, but I never thought to try them with GROUND chicken! Saving the recipe!